The original Hull Store opened over 9 years ago. It has since been relocated to the convenient & thriving Holderness Road shopping area. About a mile from the city centre, just to the east of the Mount Pleasant junction, it is virtually opposite the ‘Kingston Shopping Centre’, close to Mcdonalds. There is good parking at one of a number of off-road car parks nearby. We look forward to welcoming you for a friendly chat and offering you professional advice on how to get the best out of any of the wide range of products on display including a full working demonstration stairlift. They will ensure you are comfortable with whatever you choose and that it is appropriate to your requirements at a cracking price. We have 6 used mobility scooters that are available to view at our Hull store. Do you live in Hull and you are looking for a mobility scooter? Visit our store on Holderness Road today and see our wide range of scooters available. From small scooters to executive - we'll have the right mobility scooter for you. 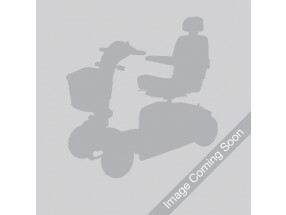 Eden Mobility have a variety of powerchairs available to purchase both online and in our Hull store on Holderness Road. Come and see our high quality powerchair range for yourself today. Eden Mobility have a high quality rise and recline chair range available both online and in store. Our rise and recline chairs are built using the strongest and highest quality materials available. Why not come in to our store on Holderness Road in Hull today to see them for yourself? If you live in Hull and you are looking for a stairlift, you've found the right place. Eden Mobility are the UK's largest mobility specialist and can provide both straight and reconditioned stairlifts for almost any staircase. Come to our store today and view our live demonstration stairlift. Our range of straight and curved stairlifts could help you to regain your freedom again. With a stairlift from Eden, you'll be able to get up and down your stairs at great ease. Get in touch today to find out more. Eden Mobility have a range of different wheelchairs available to buy both online and in our Hull store on Holderness Road. Why not come and see them for yourself today - our friendly staff will be able to provide you with all of the information you need.